Medisoft has features that make it great chiropractic medical billing software. Chiropractors have some unique needs that other practices don't. 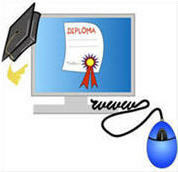 Medisoft is widely used and commonly taught in business schools which makes it easy to hire staff that are familiar with it. Medisoft is affordable and easy to learn makes it a budget friendly software choice. Why is Medisoft such good chiropractic medical billing software? 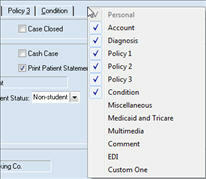 Medisoft has what is referred to as "case based" accounting. Each case is a billing scenario. It includes information such as diagnosis codes, insurance carrier, responsible party, chiropractic treatment information, levels of subluxation, etc. This helps to separate billing instances like a personal injury case vs. a workers compensation case. One of the most popular features that makes Medisoft good chiropractic medical billing software is the ability to group procedure codes together for quick entry. Chiropractors usually perform several procedures during an office visit. This makes the data entry process very tedious and time consuming. The multi-link code feature is a real time saver because it allows the user to enter multiple codes at once with one click of a button. If you bring up a patient and click the multi-link button and select WC, all three codes are automatically entered along with the diagnosis codes which are stored in the case. This feature makes transaction entry much quicker and eliminates errors. Codes can be set up to include modifiers as needed. Medisoft also stores chiropractic information including: Treatment Months/Years, No. Treatments-Month, Nature of Condition, Date of Manifestation, and Complication Ind. Nature of Condition: Acute Condition (A) Chronic Condition (C) Non-Acute (D) Non-Life Threatening (E) Routine (F) Symptomatic (G) Acute manifestation of chronic condition (M). Chiropractors often need to present bills to attorneys and insurance companies summarizing a series of charges and payments made on those charges. An excellent report to do this is the billing payment status report. Medisoft is great chiropractic medical billing software at an affordable price. Be sure to contact us if you want software, live training, or videos.